They have changed their approach to their designs with a vision of showing the true Danish way of life through these amazing timepieces. 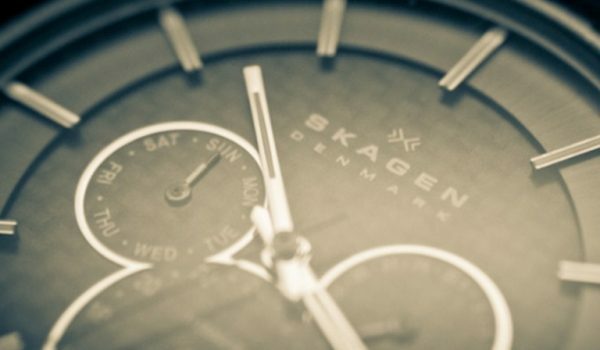 Skagen was founded in 1989 by Henrik and Charlotte Jorst, finding their inspiration in the small village Skagen in Denmark. They have a sense of simplicity and minimalism which brings a perfect feel of sophistication and results in timeless but adventurous pieces for sure. They are creating high quality products that are both functional and elegant – exactly what you want from a watch! In the new range you‘ll find two different sides of this story of time. Klassik is the modern woman’s watch, a classic style with a dash of simplicity. The style has a large face and wide color range but with that minimalistic touch, a piece that can easily be added to a wide range of personal styles. It has a two-hand watch movement, a concave dial and a beautiful mesh or leather strap, which can be easily adjusted for perfect fit. For the gentlemen, you will see the Aktiv watch range, inspired by bright coloured fishing nets and boats along the Skagen coastline. It will be available with a chronograph or a simple three-hand with date movement, and there are various choices of colourful or neutral straps to suit every kind of man. 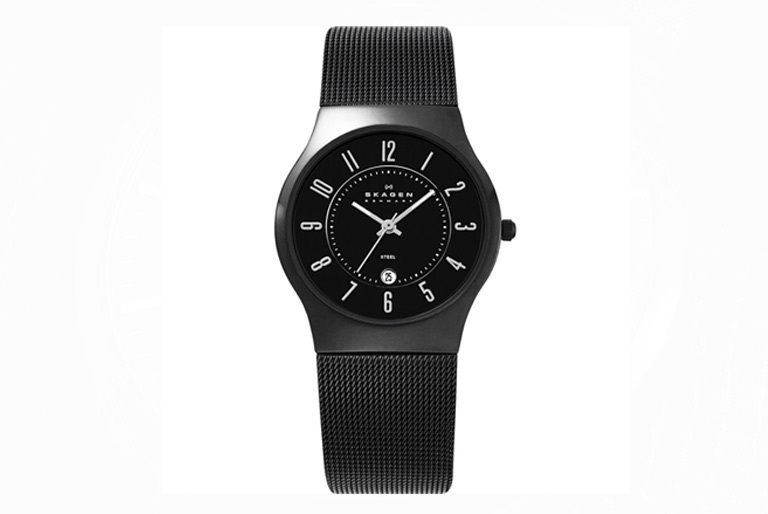 This is also one of the things they have stepped up within the Skagen design, and the Aktiv styles are also water resistant down to 5ATM for that adventurous man. 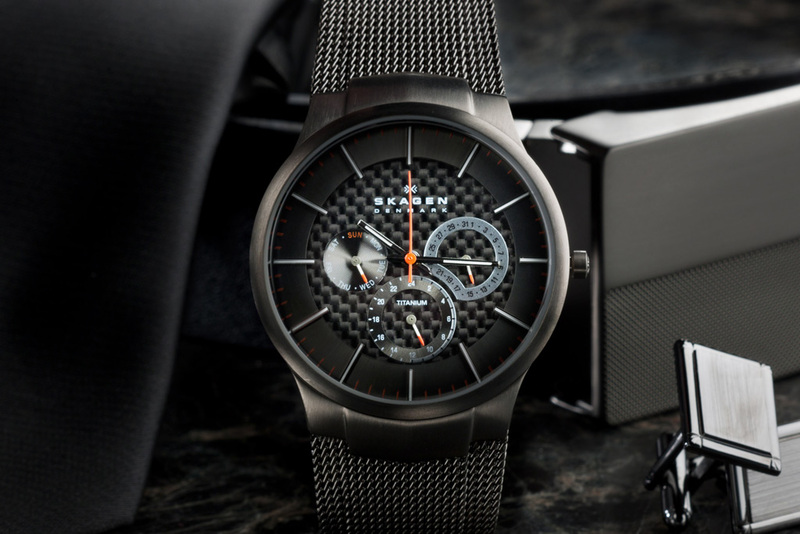 The upper end of the design has a 42 mm titanium case in grey or black and a range of three silicone straps but will also be available in a titanium linked bracelet. This is only the beginning of a fantastic watch range – be sure to keep your eyes peeled for more. 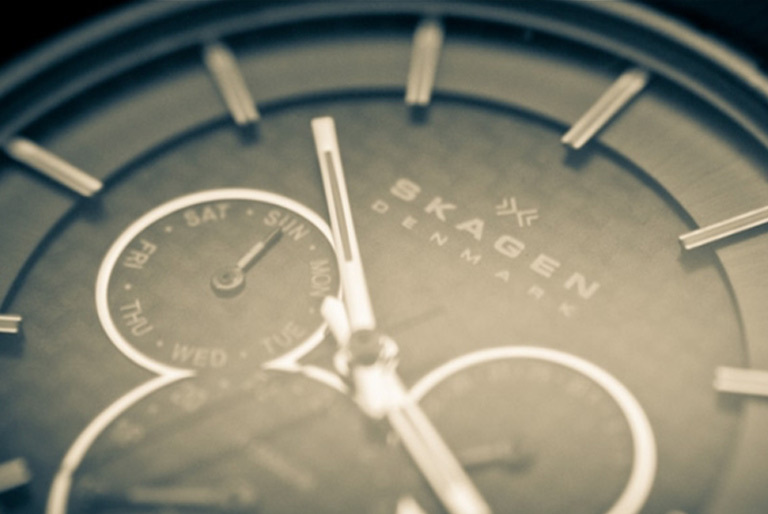 For more information about Skagen see online.